So what is Available at Rancho San Lucas? Progress on the overall development of Rancho San Lucas, marches on! Every day new services and construction projects are completed, and the entire master-planned community moves closer to completion. We have received a tremendous amount of interest in the resort, the real estate opportunities and the golf course. While Rancho San Lucas is the name of the entire Master Plan, within the community, several types of ownership opportunities have been developed to suit the needs of different members and owners. We wanted to take this opportunity to explain the difference between the different brands you have been seeing and hearing about, and help better define which ones may be of interest to you and your family! On 834 acres of beautiful Pacific coastland, with magnificent beachfront and towering dunes, sits Rancho San Lucas. The entire master-planned community has been named Rancho San Lucas including the Rancho San Lucas Golf Club. The entire private resort community has been carefully designed with nature in mind, to incorporate the real essence of Baja Living. When totally completed the community will feature a Greg Norman golf course, a shopping and entertainment village, hiking and biking trails, casual and upscale dining options, Community Park with a lake, tennis facilities and much more! The Grand Solmar Vacation Club (which is quickly being dubbed as GSVC) is the ultimate in flexibility for vacation ownership members. While members will of course have access to the newest resort The Grand Solmar at Rancho San Lucas, they can also choose to use their membership weeks at Playa Grande Resort and Spa or Grand Solmar at Land’s End. Offering exclusive benefits from flexible week reservations, flexible unit sizes and of course, luxury amenities. GSVC is one of the most flexible and exclusive memberships available today. GSVC will provide members with the ability to customize their vacation ownership to fit their exact needs and style of travel, putting them in the driver’s seat to maximize their membership benefits! The soft opening for Grand Solmar at Rancho San Lucas took place in December of 2017. Phase 1 of the oceanfront resort has been opened with luxury villas available ranging in size from Studios to 4-Bedroom Penthouses, which are currently being occupied by vacation club members and guests. Once completed, the resort will be available of course to GSVC members and guests to enjoy. The stunning resort offers the best amenities from a state-of-the-art fitness center, beauty salon and spa, infinity pools and a massive lagoon, waterslides, poolside casual dining and upscale dining options and of course, stunning accommodations. Anica restaurant is open and serving breakfast lunch and dinner. The Tide Bar is the perfect place to grab a cocktail and gaze at the Ocean. All of the villas are elegantly and comfortably furnished, and equipped with full kitchens, luxury appliances and of course, stunning resort and Pacific Ocean views. 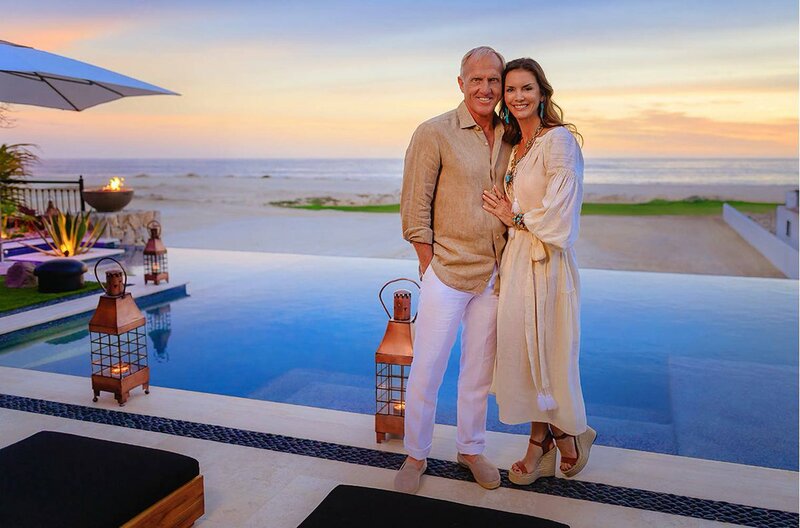 The Residences is a very exclusive membership program designed for those seeking the largest and most luxurious villas available a Grand Solmar at Rancho San Lucas. These Villas are also perfect for those looking to spend extended amounts of time at the resort, also known as Fractional ownership. The Residences at Grand Solmar, epitomizes luxury and quality, with a private arrival and check-in area, private concierge services and amenities only available to Residence owners such as swimming pools, cabanas, and other exclusive resort services. The membership program has been carefully crafted to provide the most prestigious benefits for those members wanting to experience the pinnacle in private residence clubs, look no further than The Residences at Rancho San Lucas. All Residence units are equipped with the finest kitchens, and are designed for comfort and relaxation to the fullest levels. Rancho San Lucas is also a full time or part-time community for many families looking to own a property of their own in Los Cabos. If you have reached the stage in life where you wish to spend more time in Los Cabos, either as a vacation home owner, or a part-time resident, several levels of real estate investment opportunities have been developed to fit almost anyone’s individual needs. Individual villas are available with a selection of different interior design styles to best fit the needs of the owner. While the elegant designs of Spanish architecture and Santa Barbara design have been selected as the exterior style, the owners can put their unique touch on their villa with the onsite design team. The Villas are located on the highest vantage point of the development, with incredible sweeping views of the golf course, the resorts below and of course the Pacific Ocean. In classic Solmar fashion, attention to detail is key throughout the design of each Villa, with no detail being too small or left unnoticed. Luxury finishes include granite countertops, stainless steel appliances, marble flooring throughout the villa, master carpentry work is present throughout from ceiling beams to kitchen cabinets. Priced from the low $700’s the Villas offer a unique and customizable option for those looking to enjoy their own private piece of Rancho San Lucas. 32 luxury home sites have been designated as the location for Norman Estates at Rancho San Lucas. The Estates are quickly becoming some of the most sought-after and exclusive real estate in all of Los Cabos. Beachfront home sites, overlooking the Pacific Ocean, the estates enjoy a perfect vantage point of ocean, beach and golf course views. The golf course has been designed to perfectly wrap around the estates to provide the very best views and location within Rancho San Lucas. Within these estates, the absolute in luxury and finishing’s is present throughout. Owners can work with the onsite design team to put their mark and have their ideas and desires added to their luxury estate. Within the private community of the Norman Estates will be the ultra-exclusive enclave of home sites and condominiums available. The Rancho San Lucas Golf Club is a Private Resort Club. 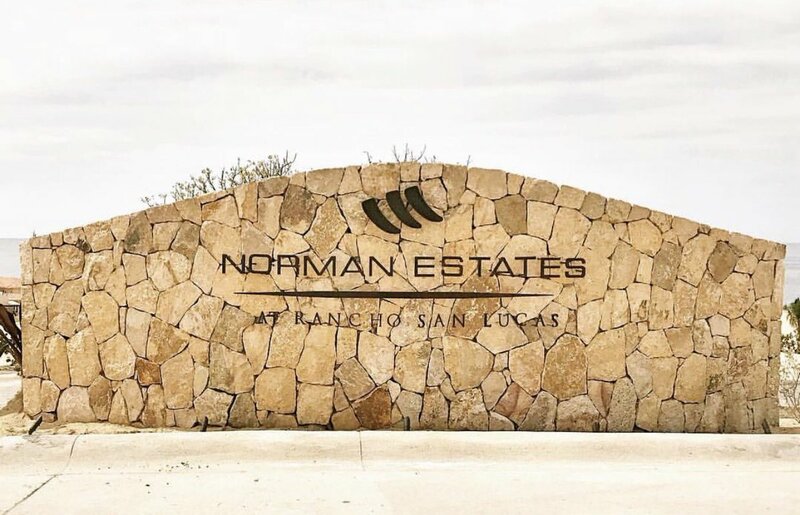 A very limited number of golf memberships will be made available only for owners of Norman Estates at Rancho San Lucas, which is the most exclusive full ownership real estate enclave within the Rancho San Lucas master-planned community. Rancho San Lucas Real Estate owners at the Villas and also all Grand Solmar Vacation Club members and Solmar/Playa Grande/Grand Solmar Land’s End/Grand Solmar Rancho San Lucas/Grand Solmar The Residences members will have access to the Golf Club whenever they are staying at any of the resorts that within the Solmar Hotels & Resorts portfolio. The Rancho San Lucas Golf Club is scheduled to open Feb-Mar of 2019. All levels of ownership from real estate owners or vacation ownership and timeshare members will have access to discounted green fee rates. All details on tee time reservation procedures will be made available closer to the opening of the golf club. If you have any questions about any of the opportunities available, do not hesitate to contact us by email, phone or social media to learn more! Keep on the lookout for our email updates and progress reports as well!